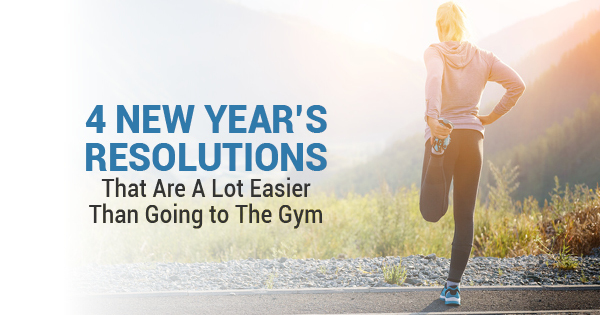 When it comes to picking New Year’s resolutions, people always choose “go to the gym.” That’s fine, but all those people who plan to workout more over the next year end up canceling their gym memberships after two or three trips. Don’t let this happen to you. You should want to work out, sure, but focus on something else this New Years. Recycle more — Recycling more won’t just benefit the environment, it will actually make you feel much better about yourself. Instead of taking all your trash to the dump, consider donating anything that can still be used and find a way to recycle as much as you can. Eat healthier — Your New Year’s resolution shouldn’t be “get a six pack of abs,” because that almost certainly won’t happen. You can, however, start eating healthier and that will significantly help in the long run. Make 2019 the year you stop relying on fast food and microwavable meals. Cook healthy meals at home and you’ll start feeling much better. Work on your style — Ditch the beer t-shirts and worn-down shoes for some nicer outfits and polarized lenses. Make 2019 the year you finally stop dressing like you’re still in college. Get some nice suits, new dress shoes, and some fashionable shades. The first pair of sunglasses were created by 12th-century Chinese inventors. They were meant to protect the eyes from the sun. Now, though polarized lenses certainly protect from UV rays, they offer plenty more style benefits as well. Oakley sunglasses lenses, for instance, can give you that much-needed appearance boost that you’ve been searching for. Volunteer — Volunteering is another great resolution that benefits those that are less fortunate and yourself. You’ll feel great helping out in your community and it might even inspire other people in your life to start volunteering. Start off by offering your assistance at food drives and soup kitchens and then go from there! If you want to find some polarized replacement lenses and other polarized lenses in order to boost your style over the next year, give Galaxy Lense a call right away.